While untried combinations can lack chemistry, such a risk is calculated against the potential for something remarkable. 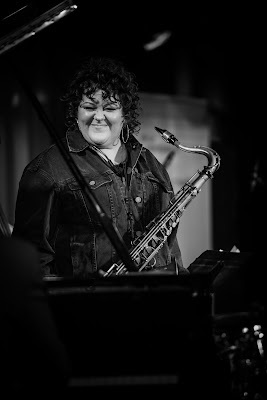 Confronted with an unfamiliar vocabulary, the most able musicians may be pushed into new territory, inspiring fresh narratives explored for the first time on the bandstand. This is the risk taken by Help Musicians UK as part of its “Miscellany” series, devising musical collaborations never before heard and unlikely to be heard again. 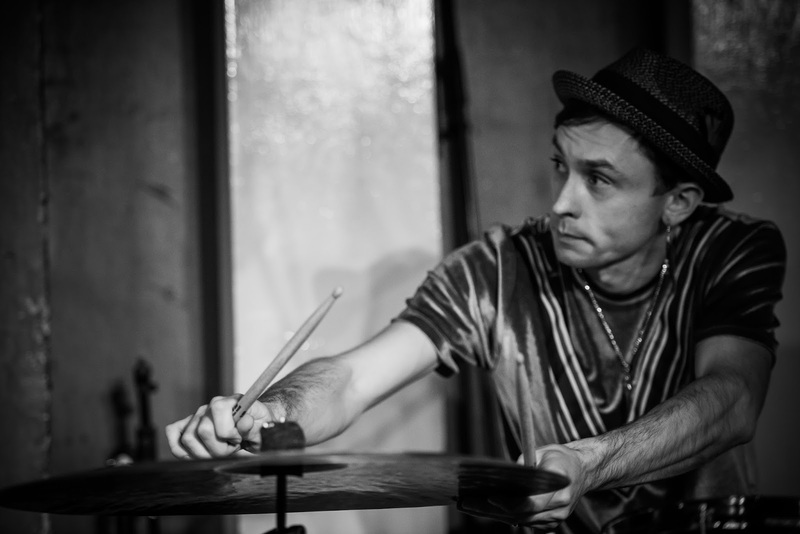 February’s inaugural concert was curated by drummer David Lyttle, the MOBO Award nominee fresh from his residency in Suzhou, China where he served as the British Council’s Musician in Residence. 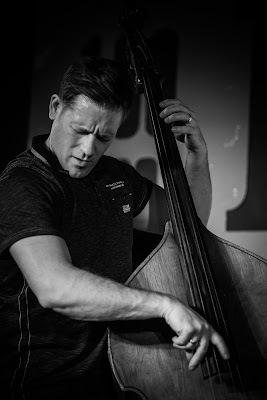 Here, he appears alongside some of the hottest names in Western Jazz, most notably Lyttle’s “hero” Seamus Blake, whose work alongside the likes of John Scofield and Kurt Rosenwinkel has earned him a host of admirers, many of them present at the 100 Club on Monday night. Grounded in different traditions and resident on different continents, would the risk pay off? On this occasion, it did, and spectacularly so. Supporting the main band were tenor saxophonist Meilana Gillard along with Alex Bryson (piano) and Conor Chaplin (bass) of Laura Jurd’s Mercury-nominated Dinosaur. 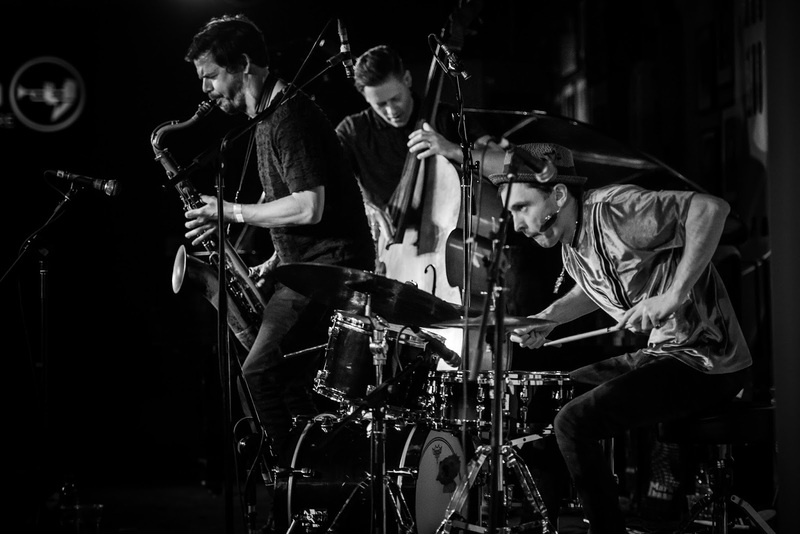 The rhythm section’s understanding was well-established, providing a superb backdrop to a mixture of originals and standards, including a rousing blues by “the President… not the orange one”. With a tone akin to Dexter Gordon, Gillard offers delightful pauses as she visibly aches over her next melodic direction. 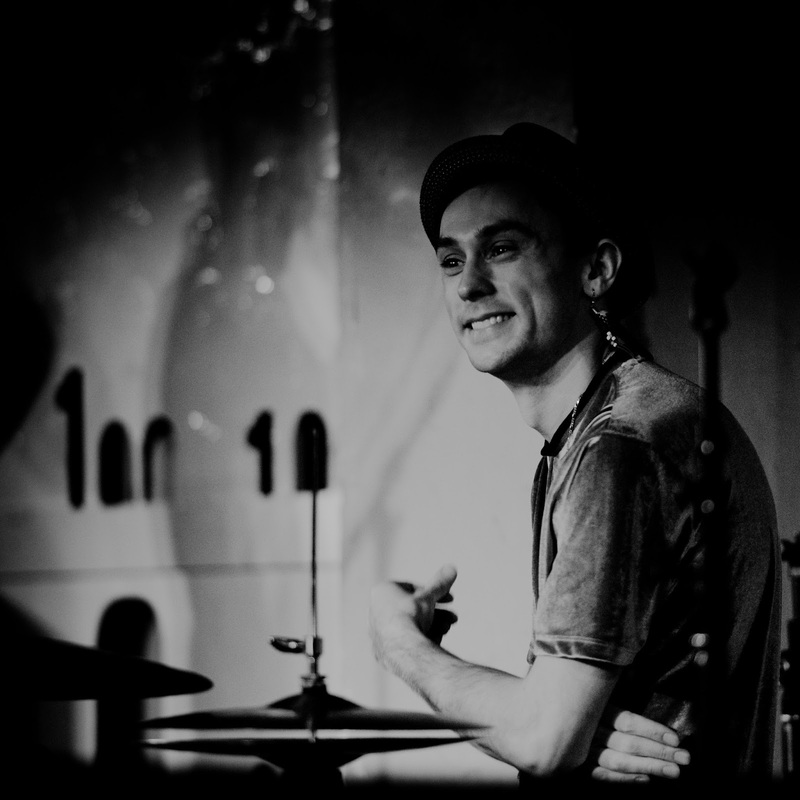 Joined by David Lyttle for the final number, all eyes were drawn to the Co.Down-born drummer. Utilising an assortment of sticks, brushes, hands and fingers, Lyttle etched out every sound possible as he stroked, banged and scratched each corner and crevice of his kit. Jumping from side-to-side, up-and-down in his seat, at one point he was in serious danger of taking off. Lyttle’s drumming has the potential to bury musicians under its intensity. Fortunately, it had the great Seamus Blake and Michael Janisch for company. Janisch made his bass dance, but it was the interplay between Lyttle and Blake that made a lasting impression. Lyttle has a remarkable knack of keeping time without actually playing on the beat… ever. Far from constraining Blake, this freed him to explore new avenues as one quaver paved the way for another, his vast array of ideas unfurling into some altissimo-coloured stratosphere before falling back to earth with a bar of devilish blues. The "Miscellany" series granted lucky listeners the unique opportunity to hear two contemporary jazz greats collude in musical mischief for the first time. The results were compelling, with Blake and Lyttle, ably supported by a selection of talented individuals, entering a new musical gear. Their first collaboration it may be, but if the success of this performance is anything to go by, it will not be their last.